Vanguard Target Retirement 2055: Why the Minimum Initial Investment? Vanguard recently released a new mutual fund: Vanguard Target Retirement 2055. As you might imagine, it’s basically the same as their existing 2050 fund, but with each of the asset allocation changes scheduled to occur five years further into the future. For the most part, I like Vanguard’s target retirement funds. But I’ve got one big question, especially regarding this new one: Why not get rid of the $3,000 minimum investment? If you’re not planning on retiring until 45 years from now, you’re obviously quite young. In fact, there’s a very good chance you’re still in school. It’s been a few years since I was in school, but I suspect that one aspect of college hasn’t changed: Most college students (even those interested in investing) don’t have $3,000 sitting around. What’s the Point of the $3,000 Minimum? Was the $3,000 minimum initially intended to discourage people from trying to pick a whole slew of different funds rather than a simple, 3-4 fund portfolio of diversified, low-cost index funds? If so, that seems like a non-issue in this case. Most investors interested in target retirement funds like the idea of investing in just one fund — that’s the whole point. Or, perhaps, does the $3,000 minimum exist simply to ensure that Vanguard receives a certain level of revenue per new investor? Would You Pay $4.75 for a New Client? Vanguard Target Retirement 2055 has an expense ratio of 0.19%. That means that an investor with $3,000 in the fund would provide Vanguard with $5.70 in annual revenue. If Vanguard were to cut the minimum investment down to, say, $500, the revenue per new investor would decline by $4.75. And in the process, they’d become accessible to many more student-investors. Yes, Vanguard would almost certainly be losing money on each investor who only invested $500, as there would still be administrative expenses associated with their accounts. But Vanguard would have a new customer — one interested in hands-off, index investing. (Essentially the ideal Vanguard client, no?) And, in just a few years, that investor will likely be out in the workforce. She’ll have more money to invest. And she’ll already have an account with Vanguard. I could be wrong, but I’d suspect that Vanguard’s current marketing strategy (i.e., advertising in mainstream media) results in an average cost of far more than $4.75 per new client. I like Vanguard a lot. Most of our own retirement savings are invested through them. But with that $3,000 minimum, Vanguard seems to be saying that they’re not particularly interested in having the business of young investors. Instead, when I get emails from college-age investors, I typically recommend Schwab because of their no-commission, low-cost ETFs. Get Rich Slowly recently hosted a post from Motley Fool writer Robert Brokamp about how much money it takes to retire. The article links to the Motley Fool’s “Am I Saving Enough?” calculator, which seeks to answer the question of how long you can expect your retirement savings to last. 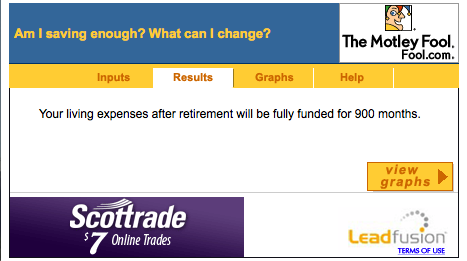 I’ve written before about why I don’t trust retirement planning calculators, and this one is a perfect example. Go ahead and take a look at it. How old you are now, at what age you expect to retire, and what age you expect to live to. You get the idea. 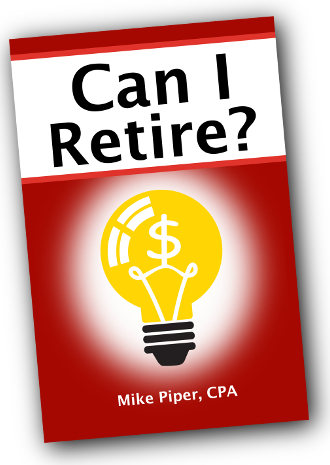 It asks for much more information than most retirement calculators. This is a good thing, as it allows for greater precision. Unfortunately, the answer the calculator gives you is complete garbage. The reason — and I bet you saw this coming — is that the calculator uses unrealistic assumptions for its calculations. Specifically, it asks you to enter a given rate of return, and it then assumes that your portfolio earns that same return every single year. In real life, returns vary from year to year — even if you stick with extremely low-risk investments. A calculator that assumes a constant return every single year is going to significantly understate the amount you need saved before you can retire safely. Said differently, if you expect your portfolio to average a certain rate of return over the course of your retirement, you probably need to set your starting withdrawal rate below that expected return figure unless you want to face a meaningful risk of running out of money. For example, if you expect your portfolio to average a 6% return throughout your retirement, withdrawing 6% of your portfolio in the first year and increasing the amount withdrawn each year to keep up with inflation would be setting yourself up for trouble. The reason such a strategy is risky is that a high withdrawal rate is absolutely devastating to your portfolio if you happen to face a prolonged bear market early in retirement. After a few years of “selling low,” you’re left with too small a portfolio to benefit fully when the market does come back. This poorly-timed-bear-market concept is known in finance as “sequence of returns risk.” Ignoring it completely — as the Motley Fool calculator does — will cause you to significantly underestimate the amount of savings you’ll need in order to retire. Don’t trust a retirement calculator unless you can see all of its assumptions and you judge them to be reasonable. One poor assumption can make an otherwise-great calculator worthless. Don’t overlook sequence of returns risk when planning for your retirement. And just for fun, here’s a screenshot taken when I plugged in a 6% withdrawal rate and a 6% rate of return. 6% withdrawal rate over a 75-year retirement? No problem! TIPS (Treasury Inflation-Protected Securities) are US government bonds that provide a specific after-inflation return (i.e., “real return”) as compared to traditional “nominal” bonds which provide a specific before-inflation return. We’ve discussed before when it makes sense to use individual TIPS as opposed to TIPS funds. But we’ve never discussed when to use TIPS at all — as opposed to nominal Treasury bonds. The most obvious way to choose between TIPS and nominal treasury bonds is to compare the market’s inflation expectation to your own inflation expectation. For example, as I’m writing this, the yield on 10-year TIPS is 1.01%, and the yield on a 10-year nominal Treasury bond is 2.64%. What we can conclude here is that the market is estimating inflation will average roughly 1.63% (2.64% minus 1.01%) per year over the next decade. If you expect inflation to be above the market’s expectation (1.63% in this case), TIPS are a better bet. If you expect inflation to be below the market’s expectation, go with nominal bonds. What if you don’t have any guesses about inflation? Of course the above analysis isn’t particularly helpful if, like me, you don’t spend much time pondering what the rate of inflation will be over any given period. If that’s the case, you’ll have to come up with another way to choose your allocation between TIPS and nominal bonds. Nominal bonds may be more useful as a diversifier of a mostly-stock portfolio. In almost every situation, inflation-adjusted returns are more meaningful than nominal returns. As such, TIPS’ inflation-adjusted yield makes them much more useful for planning purposes. For example, TIPS can be an excellent tool for retirement portfolios. While they’re not risk-free, TIPS can be used to provide a high degree of safety for sustaining a given (low) inflation-adjusted withdrawal rate (e.g., liquidating 3% of your portfolio in your first year of retirement, then increasing the dollar amount that you liquidate each year in order to keep up with inflation). Nominal Treasury bonds’ correlation to stock market returns has been lower than that of TIPS. That said, TIPS are still relatively new, so these conclusions are based on a very small amount of data. Every time you’re tempted to adjust your portfolio in some way, don’t. Instead, write down your idea, your reasoning behind it, and the date. 30 days later, if the reasoning still makes sense, then (perhaps) give it a go. I still think that’s a good idea. Even if you’re in a truly dire situation, making major investment decisions a) while you’re panicked or b) before you’ve fully researched all your options is unlikely to work out well. Step 2: Consider Both Sides. One of the reasons investors get so confused is that the people giving investment advice all seem to disagree with each other. I think index funds and ETFs are hands-down the best way to own stocks. Neal isn’t convinced. I think single premium immediate annuities are a helpful tool for retirement planning. Neal thinks they’re primarily designed to enrich insurance companies. So here’s a person with credentials, experience, and ethics recommending a very different approach to investing than what I’d recommend. If we then consider the fact that there are many people/parties in the investment services industry who don’t have your best interests in mind, it’s no surprise that you see conflicting advice everywhere you turn. Can’t decide whether picking stocks is a good idea? Read How to Make Money in Stocks, then read The Investor’s Manifesto. Can’t decide whether you want a stock-heavy allocation or a bond-heavy one? Read Stocks for the Long Run, then read Worry-Free Investing. Can’t decide about active funds vs. index funds? 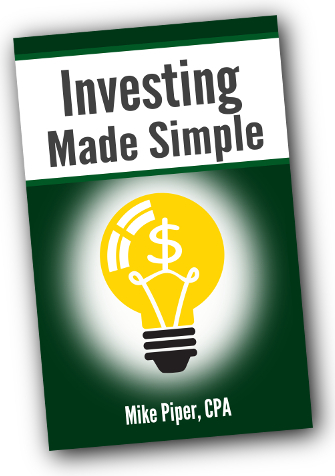 Read Fund Spy and The Little Book of Common Sense Investing. Unfortunately for everybody who emails me to ask for a link to the application page, the Schwab 2% cashback card is no longer available to new applicants. Every time you charge $2,500 on the card, they deposit $50 into your Fidelity account. 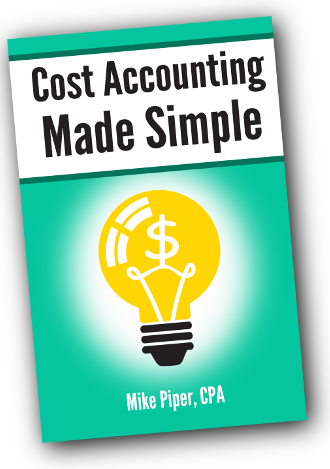 Almost any type of account works —Roth IRA, 529, taxable brokerage account, etc. You can then invest the money however you please. If you’re a regular reader of this blog, you know that I’m a big fan of investing via low-cost index funds and ETFs. But Fidelity’s line of “Spartan” index funds each carry a minimum investment of $10,000, so they’re not really an option if this is the only way you’ll be funding your Fidelity account. Fortunately, Fidelity has a deal worked out with iShares to allow for commission-free trades of 25 different iShares ETFs, thereby allowing you to put your cash-back money to work immediately, at a low cost, and without having to contribute additional money to your Fidelity account if you don’t want to. As far as I can tell, there isn’t one — assuming, that is, that you’re planning to pay off the balance every month. If you ask me, the only real drawback is that American Express isn’t accepted as widely as Visa or MasterCard. But common sense tells us that, all else being equal, the stock market is a better buy when it has a P/E ratio of 12 than when it has a P/E of 18. Similarly, all else being equal, it’s better to buy a given bond index fund when it’s yielding 5% than when it’s yielding 3%. So how might one go about capitalizing on such fluctuations? Shifting as far as 25/75 in either direction, based upon current market conditions. What, exactly, constitutes “bargain price” levels? And what price level would be “dangerously high”? How often should you check market valuations to see whether you should adjust your current allocation? To what extent should you shift your allocation based on a given degree of change in market valuations? Bob Davis, one of the authors of The Bogleheads’ Guide to Retirement Planning, provides one method. He suggests comparing the current earnings yield of the stock market to the current yield on the bond portion of your portfolio — keeping a 50/50 allocation when the two yields are the same, and shifting slightly toward whichever yield is higher when they’re unequal. Another Boglehead author, The Finance Buff, follows a plan of “overbalancing.” That is, rather than periodically rebalancing to a target asset allocation, he rebalances beyond his baseline allocation based on changes in market valuations. Why Not Use Such a Strategy? Given the common-sense appeal of accounting for price levels and interest rates when investing, why would you not want to implement such a strategy? I can think of four reasons. It’s hard to move to a particularly stock heavy allocation right when the strategy calls for it (i.e., right after a market crash — when the economy looks the bleakest). And it’s hard to move money out of stocks right when they’re performing their best. Second, while such a strategy isn’t particularly laborious to implement, it’s certainly more work than rebalancing once each year to a given asset allocation. Third, once you’ve decided that you’re more clever than the market in one area (overall valuations, in this case), it’s tempting to start thinking you’re more clever in other ways as well. This can be dangerous. While the market’s not perfect, it’s a lot smarter than it looks.